PIRATE'S PLEASURE Tour, (Lisa Kessler), Entangled Publishing, April 22nd-26th. Details TBA. CARMILA Tour, (Kim Turrisi), KCP Loft, April 29th-May 3rd & May 6th-10th. Details TBA. ALWAYS SMILE Tour, (Alice Kuipers), KCP Loft, April 29th-May 3rd & May 6th-10th. Details TBA. THE PEABRAIN'S IDEA Tour, (Martha Carr), Martha Carr, April 29th-May 3rd & May 6th-10th. Details TBA. HOPE & OTHER PUNCHLINES Tour, (Julie Buxbaum), Delacorte Press, May 1st-31st. Details TBA. ALL OUR BROKEN PIECES Tour, (L.D. Crichton), Disney-Hyperion, May 1st-31st. Details TBA. PLANET EARTH IS BLUE Tour, (Nicole Panteleakos), Wendy Lamb Books, May 6th-10th & 13th-17th. Details TBA. WHAT WE DO FOR LOVE Tour, (Anne Pfeffer), Bold Print Press, May 6th-10th & 13th-17th. Details TBA. THE BONE CHARMER Tour, (Breeana Shields ), Page Street Kids, May 13th-17th & 20th-24th. Details TBA. THE BRILLIANCE OF FIREFLIES Tour, (Leslie Hauser), Leslie Hauser, May 13th-17th & 20th-24th. Details TBA. SHIPWRECKERS Tour, (Scott D. Peterson & Joshua Pruett), Disney-Hyperion, May 13th-17th & 20th-24th. Details TBA. THE MISSING SEASON Release Day Blitz, (Gillian French), HarperTeen, May 21st. Details TBA. WOLVES & MONSTERS Tour, (Dyan Chick), Dyan Chick May 27th-31st & June 3rd-7th. Details TBA. THE PEABRAIN'S MAGIC Tour, (Martha Carr), Martha Carr, June 3rd-7th & 10th-14th. Details TBA. TEETH IN THE MIST Tour & Bookstagram Tour, (Dawn Kurtagich), Little, Brown Books for Young Readers, June 3rd-7th & 10th-14th. Details TBA. BLASTAWAY Release Day Blitz, (Melissa Landers), Disney-Hyperion, July 9th. Details TBA. LYCAN'S BLOOD QUEEN Tour, (Catherine Edward ), GenZ Publishing, September 2019. Details TBA. WINGS OF WAR Series Tour, (Karen Ann Hopkins), Karen Ann Hopkins , April 1st-30th. S.S.S. (SUPERNATURAL SPY ACADEMY) Tour, (Yumoyori Wilson ), Yumoyori Wilson, April 1st-30th. WONDER WALK Tour, (Ilham Alam), Iguana Books, April 8th-12th, 15th-19th & 22nd-26th. THE MASKS OF UNDER Series Tour, (Kathryn Ann Kingsley), Limitless Publishing LLC., April 15th-19th & 22nd-26th. KAZU JONES AND THE DENVER DOGNAPPERS Tour, (Shauna Holyoak), Disney-Hyperion, April 15th-19th & 22nd-26th. THE HEIROPHANT'S DAUGHTER Tour, (M.F. Sullivan), Painted Blind Publishing, April 15th-30th. THE CIRCLE Tour, (Sage Sask), SBSK Corp., April 15th-May 10th. LAWRENCE IN THE FALL Release Day Blitz, (Matthew Farina, Doug Salati (Illustrator)), Disney-Hyperion, April 9th. THE LOST LUNASON Series Blitz, (Stacie Sultrie), Stacie Sultrie, April 11th-18th. COLD FALLING WHITE Cover Reveal, (G.S. Prendergast), Simon Schuster Books for Young Readers, April 15th. MISCHIEF AND MAYHEM Blitz, (L.E. Rico), Entangled Publishing, LLC (Bliss), April 8th. THE TALENTED 2 Release Day Blitz, (Desy Smith), Floebe Publishing, April 8th. THE CENTER OF THE UNIVERSE Tour, (Ria Voros), KCP Loft, March 25th-29th & April 1st-5th. BATTLEFIELD LOVE Tour, (Skyler Andra), Skyler Andra, March 25th-29th & April 1st-5th. SAMANTHA SPINNER SERIES Tour, (Russell Ginns), Delacorte Books for Young Readers, March 25th-29th & April 1st-5th. THE EVERLASTING ROSE Tour, (Dhonielle Clayton), Freeform, March 1st-29th. DELILAH DIRK Tour, (Tony Cliff), First Second, March 8th-22nd. THE SHADOW WATCH SERIES Tour, (S.A. Klopfenstein), Guardian Grey Publishing, March 18th-22nd & 25th-29th. THE RAGE OF SAINTS Release Day Blitz, (S.A. Klopfenstein), Guardian Grey Publishing, March 26th. SCALES Tour, (Nicole Conway), Owl Hollow Press, March 4th-8th & 11th-15th. FINAL YEAR Tour, (MJ Moores), MJ Moores, March 4th-8th, 11th-15th & 22nd-25th. QUEEN TO ASHES Tour, (Mallory McCartney), Clean Reads Publishing, February 18th-March 15th. BAD GIRLS Tour, (Yumoyori Wilson ), Yumoyori Wilson , February 22nd-March 8th. PRIMAL SHIFTERS Box Set Tour, (Kira Shayde), Kira Shayde, February 25th-March 1st & March 4th-8th. OF WOLVES AND WITCHES Release Week Blitz, (Elena Lawson), Elena Lawson February 23rd-28th. ARMED ’N’ READY Tour, (Tee O’Fallon), Entangled Publishing, LLC (Amara), February 25th-March 1st. NARCOSIS ROOM Tour, (Louise Cypress ), Owl Hollow Press, February 18th -22nd & February 25th- March 1st. QUEEN TO ASHES Release Day Blitz, (Mallory McCartney), Clean Reads Publishing, February 19th. CLOUDED BY ENVY Release Day Blitz, (Candace Robinson), The Parliament House, February 19th. FAE'S CAPTIVE Release Day Blitz, (Lily Archer), Lily Archer, February 21st. LOOKING FOR DEI Tour, (David A. Willson), Seeker Press, January 28th-February 22nd. SLIME SPEWING VAMPIRE VELOCIRAPTORS Tour, (Kat de Falla), Sunquills / Ravenswood Publishing, January 28th-February 22nd. CURSE OF THE FAE QUEEN Tour, (Delia Castel), Delia Castel, February 11th -15th & 18th- 22nd. HAVEN REALM BOXSET Tour, (Mila Young), Mila Young, February 11th -15th & 18th- 22nd. IMANI UNRAVELED Tour, (Leigh Statham), Owl Hollow Press, February 11th -15th & 18th- 22nd. A COURT OF EARTH AND AETHER Release Week Blitz, (Meg Xuemei X), Meg Xuemei X, February 12th-15th. .
CURSE OF THE FAE QUEEN Release Day Blitz, (Delia Castel), Delia Castel, February 14th. Author) (Illustrations)), Marvel Press, February 4th-8th & 11th-15th. IMANI UNRAVELED Release Day Blitz, (Leigh Statham), Owl Hollow Press, February 5th. Details TBA. FAIRY IN WAITING Tour, (Sophie Kinsella), Delacorte Books for Young Readers, January 21st-February 14th. COURTING DARKNESS Tour, (Robin LaFevers), HMH Books for Young Readers, January 21st-February 15th. DANGEROUS ALLIANCE Cover Reveal, (Jennieke Cohen), HarperTeen, February 8th. DREAM KEEPER Tour, (Amber R. Duell), The Parliament House, February 4th-8th. DREAM KEEPER Release Week Blitz, (Amber R. Duell), The Parliament House, January 29th-February 1st.Details TBA. ONE-THIRD NERD Tour, (Gennifer Choldenko), Wendy Lamb Books, January 21st -25th & January 28th- February 1st. STOLEN Release Week Blitz, (Marlena Frank), The Parliament House, January 22nd. STOLEN Tour, (Marlena Frank), The Parliament House, January 28th- February 1st. LADY SMOKE Tour, (Laura Sebastian), Delacorte Press, January 1st-31st 2019. TWO CAN KEEP A SECRET Tour, (Karen McManus), Delacorte Press, January 1st-31st. KILL CODE Tour, (Luna Kayne), Kayne Publishing, January 14th-18th & 21st-25th. THE LEOPARD WHO CLAIMED A WOLF Release Day Blitz, (Sarah Mäkelä), Kissa Press LLC, January 15th. POWER OF FIVE SERIES Tour, (Alex Lidell), Danger Bearing Press, January 4th, January 7th-11th & 14th-18th. Coats), Disney-Hyperion, January 7th-11th & 14th-18th. TO DREAM IS TO DIE Release Day Blitz, (Sarah Lampkin), The Parliament House, January 8th. RAGNAROK UNWOUND Release Week Blitz, (Kristin Jacques), Sky Forest Press, January 8th-11th. FLYING MUTANT ZOMBIE RATS Tour, (Kat de Falla), Sunquills / Ravenswood Publishing, December 17th-January 11th. TO DREAM IS TO DIE Tour, (Sarah Lampkin), The Parliament House , December 31st-January 4th & January 7th-11th. POWER OF FIVE SERIES Release Day Blitz, (Alex Lidell), Danger Bearing Press, January 4th. COURT OF MEMORIES Tour, (Dyan Chick), Illaria Publishing, December 24th-28th & December 31st-January 4th. THE DATING ALTERNATIVE Release Day Blitz, (Jennifer Woodhull), Jennifer Woodhull, December 26th. LOVE A LA MODE Tour, (Stephanie Kate Strohm), Disney-Hyperion, November 26th-December 21st. DEADFALL Tour, (Stephen Wallenfels), Disney-Hyperion, December 3rd-31st. STRONGER, FASTER, AND MORE BEAUTIFUL Tour, (Arwen Elys Dayton), Delacorte Press, December 3rd-31st. MY ALMOST FLAWLESS TOKYO DREAM LIFE Tour, (Rachel Cohn), Disney-Hyperion, December 3rd-31st. WILLOW BLOOM AND THE DREAM KEEPERS Tour, (E.V. Farrell), Hookline Books, December 10th-14th & 17th-21st. TWO THOUSAND YEARS Tour, (M. Dalto), The Parliament House, December 17th-21st. NAVIGATING THE STARS Tour, (Maria V. Snyder), Maria V. Snyder, December 3rd-7th & 10th-14th. SHATTER THE SUNS Tour, (Caitlin Sangster), Simon Pulse, December 3rd-7th & 10th-14th. WILDWOOD & WINDSWEPT Tour, (Jadie Jones), Parliament House Press, November 19th-December 14th. ELEANOR ROOSEVELT'S IN MY GARAGE Tour, (Candace Fleming, Mark Fearing (Illustrations)), Schwartz & Wade Books, November 26th-30th & December 3rd-7th. COLLATERAL Tour, (Alexandra Ayers), Afterlife Royalty, November 26th-30th & December 3rd-7th. TWO THOUSAND YEARS Release Week Blitz, (M. Dalto), The Parliament House, December 11th-14th. QUEEN TO ASHES Cover Reveal, (Mallory McCartney), Clean Reads, November 27th. CAPTIVE DESIRE Tour, (Robin Lovett), Entangled Publishing, LLC (Scorched), November 19th-23rd. PIECE OF SHIFTER Release Day Blitz, (Laurel Chase), Laurel Chase, November 19th. PIECE OF SHIFTER Tour, (Laurel Chase), Laurel Chase, November 19th-23rd & 26th-30th. MADE BY MAXINE Tour, (Ruth Spiro (Author), Holly Hatam (Illustrator)), Dial Books, November 19th-23rd & 26th-30th. DRAKON’S TEAR Tour, (N.J. Walters), Entangled Publishing. LLC (Amara), November 26th-30th. WINTERDREAM Release Day Blitz, (Chantal Gadoury), Parliament House Publishing, November 27th. WINTERDREAM Tour, (Chantal Gadoury), Parliament House Publishing, November 26th-30th. OTHEREARTH Tour, (Jason Segel, & Kirsten Miller), Delacorte Press, November 1st-30th. INKLING Tour, (Kenneth Oppel), Delacorte Press, November 1st-30th. THE CAMELOT CODE: THE ONCE AND FUTURE GEEK Tour, (Mari Mancusi), Disney-Hyperion, November 12th-16th & 19th-23rd. WUNDERSMITH: THE CALLING OF MORRIGAN CROW Tour, (Jessica Townsend), Little, Brown Books for Young Readers , November 12th-16th & 19th-23rd. HOW SHE DIED, HOW I LIVED Tour, (Mary Crockett), Little, Brown Books for Young Readers , November 12th-16th & 19th-23rd. WILDER Tour, (Andrew Simonet ), Farrar, Straus and Giroux, November 12th-16th & 19th-23rd. RELEASING THE DRAGON Tour, (K.L. Bone), K.L. Bone, November 5th-9th & 12th-16th. TWILIGHT OF THE ELVES Tour, (Zack Loran Clark & Nick Eliopulos), Disney Book Group, November 5th-9th & 12th-16th. LOVE LIKE SKY Tour, (Leslie C. Youngblood), Disney-Hyperion, November 5th-9th & 12th-16th. SHE DID IT! 21 WOMEN WHO CHANGED THE WAY WE THINK Tour, (Emily Arnold McCully), Disney-Hyperion, November 5th-9th & 12th-16th. FIANNA'S AWAKENING Tour, (Ron C. Nieto), Ron C. Nieto, November 5th-9th & 12th-16th. LITTLE DREAMERS: VISIONARY WOMEN AROUND THE WORLD Tour, (Vashti Harrison), Little, Brown Books for Young Readers, November 5th-9th & 12th-16th. WORDS WE DON’T SAY Tour, (K.J. Reilly), Disney-Hyperion, October 8th-November 9th. THE SEVEN TORMENTS OF AMY & CRAIG Tour, (Don Zolidis ), Disney-Hyperion, October 8th-November 9th. . THE DARK DESCENT OF ELIZABETH FRANKENSTEIN Tour, (Kiersten White), Delacorte Press, October 15th-November 9th. WATCH YOU BURN Tour, (Amanda Searcy), Delacorte Press, October 15th-November 9th. WEST Tour, (Edith Pattou), HMH Books for Young Readers, October 15th-November 9th. THE PROPHET CALLS Tour, (Melanie Sumrow), Yellow Jacket, October 29th-November 2nd & November 5th-9th. THE TRUTH ABOUT MARTIANS Tour, (Melissa Savage),Crown Books for Young Readers, October 29th-November 2nd & November 5th-9th. DEAD GIRLS DON'T DANCE Release Day Blitz, (H.G. Lynch), H.G. Lynch, November 2nd. SALT & VENOM Tour, (Amy McNulty), Snowy Wings Publishing, October 22nd-26th & October 29th-November 2nd. ARE YOU SCARED, DARTH VADER? Tour, (Adam Rex), Disney Book Group, October 22nd-26th & October 29th-November 2nd. DREAM KEEPER Tour, (Amber R. Duell), The Parliament House, October 22nd-26th & October 29th-November 2nd. FIRST FULL MOON Tour, (Michelle Alstead), Michelle Alstead, October 22nd-26th & October 29th-November 2nd. AN ASSASSINS GUIDE TO LOVE AND TREASON Tour, (Virginia Boecker), Little, Brown Books for Young Readers, October 22nd-26th & October 29th-November 2nd. COURT OF SECRETS Tour, (Dyan Chick), Illaria Publishing LLC, October 15th-19th & October 22nd-26th. SUCCESSOR Tour, (Rae Miles), The Wild Rose Press, October 15th-19th & October 22nd-26th. PROTECTING THE WOLF'S MATE Tour, (Sasha Summers), Entangled Publishing, LLC (Covet), October 22nd-26th. SALT & VENOM Release Week Blitz, (Amy McNulty), Snowy Wings Publishing , October 16th-19th. EARTH QUARANTINED Cover Reveal, (D.L. Richardson ), D.L. Richardson, October 15th. HAVE YOU HEARD ABOUT LADY BIRD? : POEMS ABOUT OUR FIRST LADIES Tour, (Marilyn Singer, Nancy Carpenter (Illustrations)), Disney-Hyperion, October 8th-12th & 15th-19th. SANITY & TALLULAH Tour, (Molly Brooks), Disney-Hyperion, October 8th-12th & 15th-19th. THE HALVES OF US Tour, (Sydney Paige Richardson), The Parliament House, October 8th-12th & 15th-19th. THE HALVES OF US Release Day Blitz (Sydney Paige Richardson), The Parliament House, October 9th. RENEGADE Tour, (Mallory McCartney), Clean Reads Publishing, September 10th-October 10th. A HEART IN A BODY IN A WORLD Tour, (Deb Caletti), Simon Pulse, September 17th-October 12th. TAMING Tour, (A.K. Koonce), A.K. Koonce, October 1st-5th & 8th-12th. BLINDING NIGHT Tour, (Chantal Gadoury), The Parliament House, October 1st-5th & 8th-12th. BEATRICE ZINKER, UPSIDE DOWN THINKER, BOOK 2: INCOGNITO Tour, (Shelley Johannes), Disney-Hyperion, October 1st-5th & 8th-12th. CHARGED Tour, (Gillian Zane), Parajunkee Publishing, September 24th-28th & October 1st-5th. THE LAST WISH OF SASHA CADE Tour, (Cheyanne Young), Kids Can Press, September 24th-28th & October 1st-5th. ME AND ME Tour, (Alice Kuipers), Kids Can Press, September 24th-28th & October 1st-5th. LANDO'S LUCK Tour, (Justina Ireland), Disney Book Group, September 24th-28th & October 1st-5th. TRIAL OF THREE Tour, (Alex Lidell), Danger Bearing Press, September 24th-28th & October 1st-5th. DEL TORO MOON Tour, (Darby Karchut), Owl Hollow Press, September 24th-28th & October 1st-5th. THE LANTERN'S EMBER Tour, (Colleen Houck), Delacorte Press, September 3rd-28th. ANNABELLE'S HAREM Tour, (Anna Hill), Anna Hill, September 17th-21st & 24th-28th. APOLLO IS MINE Tour, (Mila Young), Mila Young, September 17th-21st & 24th-28th. TRIAL OF THREE Release Day Blitz, (Alex Lidell), Danger Bearing Press, September 26th. A COURT OF BLOOD AND VOID Release Week Blitz, (Meg Xuemei X), Meg Xuemei X, September 12th-18th. APOLLO IS MINE Release Day Blitz, (Mila Young), Mila Young, September 18th. CHARGED Release Day Blitz, (Gillian Zane), Parajunkee Publishing, September 18th. THE COMPETITION Release Day Blitz, (Cecily Wolfe), Dangerous Hope Productions, September 18th. THE THIRD MUSHROOM Tour, (Jennifer Holm), Random House, September 3rd-7th & 10th-14th. THE LEADING EDGE OF NOW Tour, (Marci Lyn Curtis), Kids Can Press, August 27th-31st & September 3rd-7th. KISS ME IN PARIS Tour, (Catherine Rider), Kids Can Press, August 27th-31st & September 3rd-7th. HARBINGER Tour, (Nicole Conway), Month9Books, LLC, August 27th-31st & September 3rd-7th. BOY IN A BAND Tour, (Lisa Loomis), Lisa Loomis Books , August 27th-31st & September 3rd-7th. STEALING TRANQUILITY Release Day Blitz, (J.L. Weil), J.L. Weil, August 30th. FRESH INK Anthology Tour, (Lamar Giles, Nicola Yoon, Malinda Lo, Melissa de la Cruz, Sara Farizan, Eric Gansworth, Walter Dean Myers, Daniel José Older, Thien Pham, Jason Reynolds, Gene Luen Yang, Sharon G. Flake, Schuyler Bailar, Aminah Mae Safi), Crown Books for Young Readers, August 1st-31st. THE FORSAKEN ROYAL Release Day Blitz, (Anna Hill), Anna Hill, August 27th. DRAKON UNCHAINED Tour, (N.J. Walters), Entangled Publishing, LLC (Amara), August 27th-31st. DARK JUSTICE: MCCABE Tour, (Jenna Ryan), Entangled Publishing, LLC (Amara), August 27th-31st. THE GLASS BUTTERFLY Release Week Blitz, (A.G. Howard), Golden Orb Press, August 15th. EMBRACING THE DRAGON Tour, (K.L. Bone), K.L. Bone, August 13th-17th & 20th-24th . UNLEASHED Tour, (Bella Jacobs), Bella Jacobs Books, August 13th-17th & 20th-24th. GRACE AND FURY Tour, (Tracy Banghart), Little, Brown Books for Young Readers, July 23rd-August 17th. THE CHEERLEADERS Tour, (Kara Thomas), Delacorte Press, July 23rd-August 17th. THE GLASS BUTTERFLY Tour, (A.G. Howard), Golden Orb Press, August 6th-10 &13th-17th. STEP INTO MAGIC Release Week Blitz, (Day Leitao ), Day Leitao , July 30th. STEP INTO MAGIC Tour (Day Leitao), Day Leitao , July 30th- August 3rd & August 6th-10th. ARROWHEART Blog Tour, (Rebecca Sky), Hodder, July 16th-August 3rd. LETTING GO OF GRAVITY Blog Tour, (Meg Leder), Simon Pulse, July 23rd-27th & July 30th-August 3rd. NYXIA UNLEASHED Tour, (Scott Reintgen), Crown Books for Young Readers, July 2nd-31st. 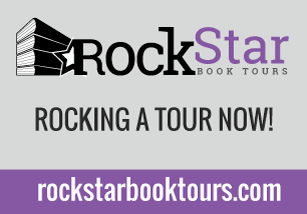 LIKE NEVER AND ALWAYS Tour, (Ann Aguirre), Tor Teen, July 2nd-31st. SCREAM ALL NIGHT Blog Tour, (Derek Milman), Balzer + Bray, July 16th-20th & 23rd-27th . BRIGHT WE BURN Blog Tour, (Kiersten White), Delacorte Press , June 25th-July 20th. LETTING GO OF GRAVITY Release Day Blitz, (Meg Leder), Simon Pulse, July 17th. LIKE NEVER AND ALWAYS Release Day Blitz, (Ann Aguirre), Tor Teen, July 17th. WILLA OF THE WOOD Tour, (Robert Beatty), Disney-Hyperion, July 2nd-6th & 9th-13th. MISTAKE OF MAGIC (Power of Five #2) Blog Tour, Alex Lidell, Danger Bearing Press, July 2nd-6th & 9th-13th. CHLOE SHIPTON & THE QUILL OF LEFAY Your, (Lynn Veevers), Lynn Veevers, June 11th-July 6th. A COWBOY'S SWEETHEART Blog Tour, (Crista McHugh), Crista McHugh , June 25th-29th & July 2nd-6th. MY LULLABY OF YOU Blog Tour, (Alia Rose), Plum Anchor Press, June 25th-29th & July 2nd-6th. QUINSEY WOLFE'S GLASS VAULT Release Day Blitz, (Candace Robinson), The Parliament House, June 26th . MISTAKE OF MAGIC (Power of Five #2) Release Day Blitz, Alex Lidell, Danger Bearing Press, June 29th. A COWBOY'S SWEETHEART Release Day Blitz, (Crista McHugh), Crista McHugh , June 25th . THE LIFE AND DEATH PARADE Tour, (Eliza Wass), Disney-Hyperion, June 18th-22nd & 25th-29th. DEAR SUBSTITUTE Tour, (Audrey Vernick, Liz Garton Scanlon), Disney-Hyperion,June 18th-22nd & 25th-29th. THE SELKIE OF SAN FRANCISCO Tour, (Todd Calgi Gallicano), Delacorte Books for Young Readers,June 18th-22nd & 25th-29th. NEVERWORLD WAKE Tour, (Marisha Pessl), Delacorte Press, June 1st-29th..
EVERYTHING UNDER THE SUN Tour, (Jessica Redmerski), Jessica Redmerski, June 1st-29th. WAVEHOUSE Tour, (Alice Kaltman), Fitzroy Books, June 1st-29th. NOT FOR ME (The Windy City Chronicles Book 1) Tour, (Kat de Falla ), SunMoon Arts Publishing, June 11th-15th & 18th-22nd. BETWEEN THE SEA AND STARS Release Day Blitz, (Chantal Gadoury), The Parliament House, June 19th. CINDERELLA'S INFERNO Tour, (F.M. Boughan), Month9Books, June 11th-15th & 18th-22nd . GOLDEN SKIES Tour, (Juan Zapata), Owl Hollow Press, June 11th-15th & 18th-22nd. NECK & NECK Tour, (Elise Parsley), Little, Brown Books for Young Readers, June 4th-8th & 11th-15th. OFF AND AWAY Tour, (Cale Atkinson), Disney-Hyperion, June 4th-8th & 11th-15th. THE MORTIFICATION OF FOVEA MUNSON Tour, (Mary Winn Heider), Disney-Hyperion, June 4th-8th & 11th-15th. GOD BLESS AMERICA: THE STORY OF AN IMMIGRANT NAMED IRVING BERLIN Tour, (Adah Nuchi), Disney-Hyperion, June 4th-8th & 11th-15th. RENEGADE Cover Reveal, (Mallory McCartney), Clean Reads Publishing, June 14th. DESI (The Greyhounds of Sorrento #1) Release Day Blitz, (Carolee Croft), Carolee Croft, June 15th. LIFEL1K3 Tour, (Jay Kristoff), Knopf Books for Young Readers, May 14th-June 8th. THOMAS PAINE AND THE DANGEROUS WORLD Tour, (Sarah Jane Marsh), Disney-Hyperion, May 28th-June 1st & June 4th-8th. THE ARCHIVIST Tour, (Christy Sloat), CHBB Publishing, May 21st-25th & May 28th-June 1st. BITE ME Tour, (Louise Cypress), Louise Cypress, May 21st-25th & May 28th-June 1st. ESME'S WISH Tour, (Elizabeth Foster), Odyssey Books, May 21st-25th & May 28th-June 1st. CINDERELLA'S INFERNO Release Week Blitz, (F.M. Boughan), Month9Books, May 29th. MAYFLY Tour, (Jeff Sweat), Feiwel and Friends , May 1st-31st. NOTHING HAPPENED Tour, (Molly Booth), Disney-Hyperion, May 14th-18th & 21st-25th. POWER OF FIVE Tour, (Alex Lidell), Alex Lidell, May 7th-11th & 14th-18th. THE HARPER EFFECT Tour, (Taryn Bashford), Sky Pony Press, May 7th-11th & 14th-18th. SUCCUBUS LIPS Tour, (Lina Jubilee), Lina Jubilee, May 7th-11th & 14th-18th . THE PENDERWICKS AT LAST Tour, (Jeanne Birdsall), Knopf Books for Young Readers, May 7th-11th & 14th-18th. THE VENERATE ORDER Tour, (Troy Dukart), Troy Dukart, May 7th-11th & 14th-18th. FANGS & FINS Tour, (Amy McNulty), Snowy Wings Publishing, April 30th- May 4th & May 7th-11th. CAPTAIN SUPERLATIVE Tour, (J.S. Puller), Disney-Hyperion, April 30th- May 4th & May 7th-11th. BRIGHTLY BURNING Tour, (Alexa Donne), HMH Books for Young Readers, April 30th- May 4th & May 7th-11th. PRINCESS OF THE ROSE Tour, (K.L. Bone), K.L. Bone. April 30th- May 4th & May 7th-11th. MONSTERLAND REANIMATED Tour, (Michael Okon), WordFire Press. April 30th- May 4th & May 7th-11th. POWER OF FIVE Release Day Blitz, (Alex Lidell), Alex Lidell, May 4th. SLEIGHT Tour, (Jennifer Sommersby), Sky Pony Press, April 2nd-30th. SHADOW CALL Tour, (AdriAnne Strickland & Michael Miller ), Delacorte Press, April 2nd-30th. SUMMER CONSTELLATIONS Tour, (Alisha Sevigny), Kids Can Press, April 23rd-27th & April 30th- May 4th. WHISPER Tour, (Lynette Noni), KCP Loft, April 23rd-27th & April 30th- May 4th. NOCTURNAL MEETINGS OF THE MISPLACED Tour, (R.J. Garcia), The Parliament House, April 23rd-27th & April 30th- May 4th. THE SWEET LIFE Tour, (Dakota Star), Limitless Press, April 23rd-27th & April 30th- May 4th. PLATFORM DWELLERS Tour, (Katarina Boudreaux), Owl Hollow Press, April 23rd-27th & April 30th- May 4th. THE MISCALCULATIONS OF LIGHTNING GIRL Tour, (Stacy McAnulty), Random House, April 23rd-27th & April 30th- May 4th. NOCTURNAL MEETINGS OF THE MISPLACED Release Day Blitz, (R.J. Garcia), The Parliament House, May 1st. THE SPELLSPEAKER'S PROPHECY Tour, (Anna Abner), Anna Abner, April 16th-20th & 23rd-27th. ANNA UNDREAMING Tour, (Thomas Welsh), Thomas Welsh April 16th-20th & 23rd-27th. STRAYED Cover Reveal, (KristaLyn A. Vetovich), Glass House Press, April 19th. RUTHLESS MAGIC Cover Reveal, (Megan Crewe), Megan Crewe, April 19th. THE SHE-WOLF OF KANTA Tour, (Marlena Frank), Legion Imprint of Radiant Crown Publishing, April 9th-13th & 16th-20th. TRACING SHADOWS Tour, (Alex Lidell), Alex Lidell, April 9th-13th & 16th-20th. BACON PIE Release Day Blitz, (Candace Robinson & Gerardo Delgadillo), Evernight Teen, April 13th. TRACING SHADOWS Release Day Blitz, (Alex Lidell),Alex Lidell, April 8th. SNEAKING OUT Tour, (Chuck Vance), Dunemere Books, March 26th-30th & April 2nd-6th. REBEL WITH A CUPCAKE Tour, (Anna Mainwaring), KCP Loft, March 26th-30th & April 2nd-6th. ANTIPODES Tour, (Michele Bacon), Sky Pony Press, March 26th-30th & April 2nd-6th. SOMEDAY, SOMEWHERE Tour, (Lindsay Champion), Kids Can Press, March 26th-30th & April 2nd-6th. THE PROS OF CONS Tour, (Alison Cherry, Lindsay Ribar and Michelle Schusterman), Scholastic, March 26th-30th & April 2nd-6th. COLD HARD TRUTH Tour, (Anne Greenwood Brown), Albert Whitman Company, March 26th-30th & April 2nd-6th. OBSIDIO Tour, (Jay Kristoff & Amie Kaufman), Knopf Books for Young Readers, March 1st-30th. OUR DARK STARS Tour (Audrey Grey and Krystal Wade), Blaze Publishing, LLC , March 19th-23rd & 26th-30th. IN HER SKIN Tour, (Kim Savage), FSG/Macmillan, March 19th-23rd & 26th-30th. FULL FUSION Tour, (NJ Damschroder), Dragonsoul YA, March 19th-23rd & 26th-30th. IGNITED Tour, (A.M. Deese), RadiantTeen, March 19th-23rd & 26th-30th. THE SNOW WHITE EFFECT Tour, (A.K. Mills), Dark Wolf Publications, March 19th-23rd & 26th-30th. ELECTRIC GARDENS Tour, (M. Black), M. Black, March 19th-23rd & 26th-30th. CONSORT OF SECRETS (The Witch's Consorts #1), (Eva Chase), March 12th-16th & 19th-23rd. DOMINION Release Day Blitz, (Julie Hall), March 20, 2018. LOST CROW CONSPIRACY Tour, (Rosalyn Eves), Knopf Books for Young Readers, March 5th-9th & 12th-16th 2018. SPIRIT WOMAN Tour, (Zara Quentin), Zara Quentin , March 5th-9th & 12th-16th 2018. SILVER GIRL Tour, (Leslie Pietrzyk), Unnamed Press, February 26th-March 2nd & March 12th-16th. P.S. I MISS YOU Tour, (Jen Petro-Roy), Feiwel and Friends, February 26th-March 2nd & March 5th-9th. QUANTUM STATE Tour, (M. Black), M. Black, February 19th-23rd & February 26th-March 2nd. PITCH DARK Tour, (Courtney Alameda), Feiwel & Friends, February 19th-23rd & February 26th-March 2nd. SECRETS IN OUR SCARS Tour, (Rebecca Trogner), Rebecca Trogner, February 19th-23rd & February 26th-March 2nd. TEMPESTS AND SLAUGHTER Tour, (Tamora Pierce), February 1st-28th. THE AMBROSE DECEPTION Tour, (Emily Ecton), Disney-Hyperion, February 12th-16th & 19th-23rd. ANIMAL GRAPH Tour, (M. Black), M. Black, February 12th-16th & 19th-23rd. THE BELLES Tour, (Dhonielle Clayton), Disney-Hyperion, February 5th-9th & 12th-16th. BRIDE IN TROUBLE Release Day Blitz, (Serenity Woods), February 14, 2018. 20 SHADES OF SHIFTERS Release Day Blitz, (Various Authors), February 14, 2018. DOMINION Cover Reveal, (Julie Hall), February 5, 2018. DARK EMBRACE Release Day Blitz, (Elle Boon), February 8, 2018. THE LEAK OF MADNESS Release Week Blitz, (Alice J. Black), Parliament House Publishing, February 6, 2018. YOUR ONE & ONLY Tour, (Adrianne Finlay), HMH Books for Young Readers, January 29th-February 2nd & February 5th-9th, 2018. PINNACLE Tour, (Lynn Veevers), Clean Reads, January 29th-February 2nd & February 5th-9th, 2018. WINNER TAKE ALL Tour, (Laurie Devore), Imprint, January 29th-February 2nd & February 5th-9th, 2018. DEAR DWAYNE, WITH LOVE Tour, (Eliza Gordon), Lake Union Publishing, January 29th-February 2nd & February 5th-9th, 2018. HINDER Tour, (Kristin Ping), Fire Quill Publishing, January 1st-31st, 2018. BATMAN: NIGHTWALKER Tour, (Marie Lu), Random House Books for Young Readers, January 1st-31st, 2018. DEAR DWAYNE, WITH LOVE Release Day Blitz, (Eliza Gordon), Lake Union Publishing, January 23rd, 2018. BAD PRINCESS: TRUE TALES BEHIND THE TIARA Tour, (Kris Waldherr), January 22nd-26th & January 29th-February 2nd. DARK EMBRACE Cover Reveal, (Elle Boon), January 28, 2018. MAD MAGIC Tour, (Nicole Conway), Month9Books, January 1st-5th & 8th-12th. NICE TRY, JANE SINNER Tour, (Lianne Oelke), HMH Books for Young Readers, January 1st-5th & 8th-12th, 2018. HER DEBT Cover Reveal, (Rebel Rose), Scarlet House Publishing, January 12, 2018. SLUMBER Re-Release Blitz, (Christy Sloat), Anchor Group Publishing, January 12, 2018. EVER THE BRAVE Tour, (Erin Summerill), HMH Books for Young Readers, November 27th-December 1st & December 4th-8th. STEADFAST Tour, (Michelle Hauck), Harper Voyager Impulse, December 4th-8th & 11th-15th. FRAGMENTS OF THE LOST Tour, (Megan Miranda), Crown Books for Young Readers, November 1st-3rd, 6th-10th, 13th-17th, 20th-24th, & 27th-30th. R.I.P. ELIZA HART Tour, (Alyssa Sheinmel), Scholastic Press, November 20th-24th & November 27th-December 1st. AWAKEN Tour, (Georgina Kane), Fierce Girl Publishing House, November 13th-17th & 20th-24th. SIX LITTLE SECRETS Tour, (Katlyn Duncan), HQ Digital, November 13th-17th & 20th-24th. REMADE Tour, Serial Box, November 13th-17th & 20th-24th. DEAR MARTIN Tour, (Nic Stone), Crown Books for Young Readers. October 16th-20th, 23rd-27th, October 30th-November 3rd, & November 6th-10th. MONSTERLAND Tour, (Michael Okon), WordFire Press, October 30th-November 3rd & November 6th-10th. I NEVER Tour, (Laura Hopper), HMH Books for Young Readers, October 30th-November 3rd & November 6th-10th. RETRIBUTION RAILS Tour, (Erin Bowman), HMH Books for Young Readers, October 30th-November 3rd & November 6th-10th. AIRWOMAN Tour, (Zara Quentin ), Zara Quentin, October 30th-November 3rd & November 6th-10th. TREMONTAINE Tour, Serial Box, November 6th-10th & 13th-17th. THE LIFE AND DEATH PARADE Cover Reveal, (Eliza Wass), Disney-Hyperion, October 31st, 2017. THE LEGENDS OF LUKE SKYWALKER Tour, (Ken Liu), Disney Lucasfilm Press, October 23rd-27th & October 30th-November 3rd. HAVEN Tour, (Mary Lindsey), Entangled Teen, October 23rd-27th & October 30th-November 3rd. DAUGHTER 4254 Tour, (Leigh Statham), Owl Hollow Press, October 25th-November 7th. OTHERWORLD Tour, (Jason Segel, Kirsten Miller), Delacorte Press, October 2nd-6th, 9th-13th 16th-20th, 23rd-27th & 30th & 31st. DEAR RACHEL MADDOW Cover Reveal, (Adrienne Kisner), Feiwel and Friends, October 25th, 2017. MALALA’s MAGIC PENCIL Tour, (Malala Yousafzai) Little, Brown Books for Young Readers, October 16th-20th & 23rd-27th. THE INNOCENCE TREATMENT Tour, (Ari B. Goelman ), Roaring Brook Press, October 9th-13th & 16th-20th. TRAITOR'S HOPE Tour, (Virginia McClain), Artemis Dingo Productions, October 9th-13th & 16th-20th. SUBLIME KARMA Tour, (Peyton Garver), Soul Mate Publishing, LLC, October 9th-13th & 16th-20th. JUNGLE Tour, (Yossi Ghinsberg), Skyhorse Publishing, October 9th-13th & 16th-20th. THE KNOWING Tour, (Sharon Cameron), Scholastic Press, October 9th-13th & 16th-20th. SPARKED Tour, (Helena Echlin & Malena Watrous), Geek & Sundry, October 2nd-6th & 9th-13th. LAST STAR BURNING Tour, (Caitlin Sangster), Simon Pulse, October 2nd-6th & 9th-13th. STICKER GIRL RULES THE SCHOOL Tour, (Janet Tashjian), Henry Holt BYR. October 2nd-6th & 9th-13th. COCO AND THE GRAND HARMONY Tour, (Matt de la Pena, Ana Ramírez (Illustrations)), Disney Press, October 2nd-6th & 9th-13th. THE CRESSWELL PLOT Paperback Release Tour, (Eliza Wass), Disney-Hyperion, October 2nd-6th & 9th-13th. GRAY WOLF ISLAND Tour, (Tracey Neithercott), Knopf Books for Young Readers, September 25th-29th & October 2nd-6th. ALLY Tour, (Anna Banks), Feiwel & Friends, September 25th-29th & October 2nd-6th. THE ADVENTURERS GUILD Tour, (Zack Loran Clark and Nick Eliopulos), Disney-Hyperion, September 25th-29th & October 2nd-6th. THE HANGING GIRL Tour, (Eileen Cook), HMH Books for Young Readers, September 25th-29th & October 2nd-6th. PASHMINA Tour, (Nidhi Chanani), First Second, September 25th-29th & October 2nd-6th. INVICTUS Tour, (Ryan Graudin), Little, Brown Books for Young Readers, September 25th-29th & October 2nd-6th. ANTIPODES Cover Reveal, (Michele Bacon), Sky Pony Press, September 28, 2017. THE WAY TO BEA Tour, (Kat Yeh), Little, Brown Books for Young Readers, September 18th-22nd & 25th-29th. CHARM (J.A. Armitage), Release Day Blitz, September 26, 2017. MASKED (Superheroes UnderCover, #1) Tour, (J.D. Wright), Limitless Publishing, September 11th-15th & 18th-22nd. THE BOOK KNIGHTS Tour, (J.G. McKenney), J.G. McKenney, September 11th-15th & 18th-22nd. THE EMPTY GRAVE (Lockwood & Co. #5) Tour, (Jonathan Stroud), Disney-Hyperion, September 11th-15th & 18th-22nd. KEEPING THE BEAT Tour, (Jeff Norton), Kids Can Press, September 11th-15th & 18th-22nd. ODD & TRUE Tour, (Cat Winters), Amulet Books, September 4th-8th & 11th-15th . BB-8 ON THE RUN Tour, (Drew Daywalt), Disney Lucasfilm Press, September 4th-8th & 11th-15th. ZERO REPEAT FOREVER Blog Tour, (Gabrielle Prendergast), September 4th-8th & 11th-15th. THE ADVENTURER’S GUIDE TO DRAGONS (And Why They Keep Biting Me) Tour, (Wade Albert White), Little, Brown Books for Young Readers, September 4th-8th & 11th-15th . THE LOST CAUSES Tour, (Jessica Etting & Alyssa Schwartz), Kids Can Press, September 4th-8th & 11th-15th. HAVEN Cover Reveal, (Mary Lindsey), Entangled Teen, September 14, 2017. CINDERELLA NECROMANCER Tour, (F.M. Boughan), Month9Books, LLC, August 21st-25th & August 28th-Sept 1st 2017. ZERO REPEAT FOREVER Release Day Blitz, (Gabrielle Prendergast), August 29th, 2017. Details TBA. THE EPIC CRUSH OF GENIE LO Tour, (F. C. Yee), Amulet Books, July 31st-August 4th & August 7th-11th, 2017. SASQUATCH, LOVE, AND OTHER IMAGINARY THINGS Tour, (Betsy Aldredge and Carrie DuBois-Shaw), Simon Pulse, July 31st-August 4th & August 7th-11th, 2017. REUNITED Tour, (Colleen Houck), Delacorte Press, July 31st-August 4th & August 7th-11th, 2017. CRYSTAL BLADE (BURNING GLASS#2) Tour, (Kathryn Purdie), Katherine Tegen Books, August 7th-11th & 14th-18th 2017. THE HEARTS WE SOLD Tour, (Emily Lloyd-Jones), Little, Brown Books for Young Readers, August 7th-11th & 14th-18th 2017. HOLIDAY IN THE HAMPTONS Tour, (Sarah Morgan), Harlequin Books, August 7th-11th, 14th-18th, & 21st-25th 2017. THE HUMMINGBIRD HEART Release Week Blitz, (A.G. Howard), A.G. Howard, August 15th 2017. LITTLE MONSTERS Tour, (Kara Thomas), Delacorte Press, August 14th-18th, & 21st-25th 2017. ALLERLEIRAUH Release Week Blitz, (Chantal Gadoury), August 22nd 2017, Details TBA. SPARKS OF LIGHT Tour, (Janet B. Taylor), HMH Books for Young Readers , July 24th-28th & July 31st-August 4th, 2017. VENTURESS Tour, (Betsy Cornwell), HMH Books for Young Readers , July 24th-28th & July 31st-August 4th, 2017. ROYAL CRUSH Review Only Tour, (Meg Cabot) , Feiwel & Friends, July 24th-28th & July 31st-August 4th, 2017. BLIGHT Tour, (Alexandra Duncan), Greenwillow Books, July 24th-28th & July 31st-August 4th, 2017. VANGUARD Tour, (Ann Aguirre), Feiwel & Friends, July 17th-21st & 24th-28th. CHASING EVELINE Tour, (Leslie Hauser), Pen Name Publishing, July 17th-21st & 24th-28th. BURIED HEART Tour, (Kate Elliott), Little, Brown Books for Young Readers, July 17th-21st & 24th-28th. THE LAST MAGICIAN Tour, (Lisa Maxwell), Simon Pulse, July 10th-14th & 17th-21st,2017. WITCHTOWN Tour, (Cory Putman Oakes), HMH Books for Young Readers, July 10th-14th & 17th-21s. THE SPECIAL ONES Tour, (Em Bailey), HMH Books for Young Readers, July 10th-14th & 17th-21st. THE DISAPPEARANCES Tour, (Emily Bain Murphy), Houghton Mifflin Harcourt, July 3rd-7th & 10th-14th, 2017. THE DRAGONS OF NOVA (Loom Saga #2) Tour, (Elise Kova), Keymaster Press, July 3rd-7th & 10th-14th. FRAGILE CHAOS Tour, (Amber R. Duell), Radiant Crown Publishing, LLC, July 3rd-7th & 10th-14th. WASTE OF SPACE Tour, (Gina Damico), Houghton Mifflin Harcourt for Young Readers, July 3rd-7th & 10th-14th, 2017. THE SAVAGE DAWN Tour, (Melissa Grey), Delacorte Press, July 3rd-7th & 10th-14th, 2017. CHASING EVELINE Release Week Blitz (Leslie Hauser), Pen Name Publishing, July 11th-14th. NOW I RISE Tour, (Kiersten White), Delacorte Press, June 19th-23rd, 26th-30th, & July 3rd-7th. THE QUEST TO THE UNCHARTED LANDS Tour, (Jaleigh Johnson), Random House, June 22nd, 23rd, 26th-28th, & July 3rd-7th. HEARTWOOD HOTEL Tour, (Kallie George), Disney-Hyperion, June 26th-28th, & July 3rd-7th. MARTY FRYE AND THE CASE OF THE MISSING ACTION FIGURE & MARTY FRYE AND THE CASE OF THE MISSING POODLE Tour, (Janet Tashjian), Henry Holt and Co. (BYR), June 19th-23rd, 26th-30th. THE LIBRARIAN Tour, (Christy Sloat), CHBB Publishing, June 12th-16th & 19th-23rd. ONE OF US IS LYING Tour, (Karen M. McManus), Delacorte Press, May 29th-June 2nd, June 5th-9th, & June 12th-16th. JULIA DEFIANT Tour, (Catherine Egan), Knopf Books for Young Readers, June 5th-9th & 12th-16th. PLAINS OF SAND AND STEEL Tour, (Alisha Klapheke), Alisha Klapheke, June 5th-9th & 12th-16th. WHAT I LOST Tour, (Alexandra Ballard), Farrar, Straus and Giroux (BYR), May 29th-June 2nd & June 5th-9th. BREAKING Tour, (Danielle Rollins), Bloomsbury USA Childrens, May 29th-June 2nd & June 5th-9th. DARK BREAKS THE DAWN Tour, (Sara B. Larson), Scholastic Press, May 22nd-26th & May 29th-June 2nd, 2017. WE WERE LIARS Deluxe Edition Tour, (E. Lockhart), Delacorte Press, May 15th-19th, May 22nd-26th, 2017. ILLUMINAE Paperback Tour, (Jay Kristoff & Amie Kaufman), Ember (Random House), April 24th-28th, May 1st-5th, & 8th-12th. UMBERLAND Tour, (Wendy Spinale), Scholastic Press, May 1st-5th & 8th-12th, 2017. THE GAME OF LIVES Paperback Tour, (James Dashner), Ember/Random House, May 1st-5th & 8th-12th, 2017. AIR AND ASH Tour & Release Day Blitz, (Alex Lidell), Danger Bearing Press, May 1st-5th & 8th-12th, 2017. WHEN PLANETS FALL Release Day Blitz, (Abby Reed), Soul Mate Publishing, May 10th. THE DRAGONS OF NOVA (Loom Saga #2) Cover Reveal, (Elise Kova), Keymaster Press, May 4, 2017. THE PRINCIPAL'S UNDERWEAR IS MISSING Tour, (Holly Kowitt), Feiwel & Friends, April 24th-28th & May 1st-5th. BLOOD ROAD Tour (Amanda McCrina), Month9Books, April 24th-28th & May 1st-5th. JUST A NORMAL TUESDAY Tour, (Kim Turrisi), Kids Can Press, April 24th-28th & May 1st-5th. COLD SUMMER Tour, (Gwen Cole), Sky Pony Press, April 24th-28th & May 1st-5th. AIR AND ASH Book Blitz, (Alex Lidell), Danger Bearing Press, May 5th, 2017. THE SKY THRONE Tour, (Chris Ledbetter), Month9Books. April 17th-21st & 24th-28th. BLOOD ROAD Release Day Celebration, (Amanda McCrina), Month9Books, April 25th. BLACKSOULS Tour, (Nicole Castroman), Simon Pulse, April 10th-14th & 17th-21st,2017. ROYCE ROLLS Tour, (Margaret Stohl), Freeform, April 10th-14th & 17th-21st,2017. THE TAKEDOWN Tour, (Corrie Wang), Freeform, April 10th-14th & 17th-21st,2017. MY LIFE AS A NINJA Release Week Blitz, (Janet Tashjian), Henry Holt and Co. (BYR), April 10th-14th,2017. MY LIFE AS A NINJA Release Week Blitz & Blog Tour, (Janet Tashjian), Henry Holt and Co. (BYR), April 10th-14th & 17th-21st,2017. THE SKY THRONE Release Day Celebration, (Chris Ledbetter), Month9Books. April 18th. WHEN PLANETS FALL Tour, (Abby Reed), Soul Mate Publishing, April 3rd-7th & April 10th-14th. THE MAGNIFICENT GLASS GLOBE Tour, (N. R. Bergeson), Mont9Books, April 3rd- 7th & 10th-14th. DEFY THE STARS Tour, (Claudia Gray), Little, Brown Books for Young Readers, March 27th-31st & April 3rd-7th. BUT THEN I CAME BACK Tour, (Estelle Laure), Houghton Mifflin Harcourt Books for Young Readers, March 27th-31st & April 3rd-7th. ZENN DIAGRAM Tour, (Wendy Brant), Kids Can Press, March 27th-31st & April 3rd-7th. ZENN DIAGRAM Release Day Blitz, (Wendy Brant), Kids Can Press, April 4, 2017. PERFECT Release Day Blitz, (Cecelia Ahern), Feiwel & Friends, April 4, 2017. THE MAGNIFICENT GLASS GLOBE Release Day Celebration, (N. R. Bergeson), Month9Books, April 4th. BLOOD ROSE REBELLION Tour, (Rosalyn Eves), Alfred A. Knopf Books for Young Readers, March 20th-24th & 27th-31st. HEAR THE WOLVES Tour, (Victoria Scott), Scholastic Press, March 20th-24th & 27th-31st. HEARTS & OTHER BODY PARTS Tour, (Ira Bloom), Scholastic Press, March 20th-24th & 27th-31st. NIGHT WITCHES Tour, (Kathryn Lasky), Scholastic Press, March 20th-24th & 27th-31st. FUTURE THREAT (Future Shock #2) Tour, (Elizabeth Briggs), Albert Whitman, February 20th-24th & February 27th- March 3rd, 2017. THE GIRL WHO COULD SEE Cover Reveal, Kara Swanson, Kara Swanson, March 10th 2017. THE WISH GRANTER Tour, (C.J. Redwine), Balzer + Bray, February 6th-10th & 13th-17th. BLACK DAWN Tour, (Mallory McCartney), Clean Teen Publishing, February 6th-10th & 13th-17th. LOVE AND FIRST SIGHT Tour, (Josh Sundquist), Little, Brown Books for Young Readers, February 6th-10th & 13th-17th. WINTERSONG Tour, (S. Jae-Jones), Thomas Dunne, January 30th-February 3rd & February 6th-10th 2017. ROMEO AND WHAT'S HER NAME Tour, (Shani Petroff), Swoon Reads, January 30th-February 3rd & February 6th-10th 2017. LESSONS IN FALLING Release Day Blitz, (Diana Gallagher), Spencer Hill Press, February 7, 2017. THE 100 Book/TV Show Blitz, (Kass Morgan), Little, Brown Books for Young Readers, February 1, 2017. CHALK HOUSES Release Blitz, (Tracy Clark), Tracy Clark, February 2, 2017. DAWN STUDY Tour, (Maria V. Snyder), Mira Books, January 23rd-27th & 30th-February 3rd. FROSTBLOOD Tour, (Elly Blake),Little, Brown Books for Young Readers, January 23rd-27th & 30th-February 3rd. EXO Tour, (Fonda Lee), Scholastic, January 23rd-27th & 30th-February 3rd. LIFERS Tour, (M.A. Griffin), Chicken House Ltd, January 23rd-27th & 30th-February 3rd. AFTER THE FALL Tour, (Kate Hart), Farrar, Straus and Giroux (BYR), January 16th-20th & 23rd-27th. HEARTSTONE Tour, (Elle Katharine White), Harper Voyager, January 9th-13th & 16th-20th. ROSEBLOOD Release Day Blitz, (a.G. Howard), Amulet Books, January 10, 2017. THE ALCHEMISTS OF LOOM Tour, (Elise Kova), Keymaster Press, January 2nd-6th & 9th-13th. POISON'S KISS Tour, (Breeana Shields), Random House Books for Young Readers, January 2nd-6th & 9th-13th. YOU DON'T KNOW MY NAME Tour, (Kristen Orlando), Swoon Reads, January 2nd-6th & 9th-13th. FLICKER AND MIST Tour, (Mary G. Thompson), Clarion Books, December 26th-30th & January 2nd-6th. EVER THE HUNTED Tour, (Erin Summerill), HMH Books for Young Readers, December 19th-23rd & 26th-30th. FAITHFUL Tour, (Michelle Hauck), Harper Voyager Impulse, November 7th-11th & 14th-18th. ILLUSION Tour, (Martina Boone), Simon Pulse, October 17th-21st & 24th-28th. A MILLION WORLDS WITH YOU Tour, (Claudia Gray), Harper Teen, October 24th-28th & October 31st-November 4th. FLIP THE BIRD Tour, (Kym Brunner), HMH Books for Young Readers, October 24th-28th & October 31st-November 4th. UNNATURAL DEEDS Tour, (Cyn Balog), Sourcebooks Fire, October 24th-28th & October 31st-November 4th. THE HAUNTING OF FALCON HOUSE Tour, (Eugene Yelchin), Henry Holt and Co. (BYR), October 27th-31st. BLOOD FOR BLOOD Release Day Blitz, (Ryan Graudin), Little, Brown Books for Young Readers, November 1st. GLITTER Tour, (Aprilynne Pike), Random House Books for Young Readers, October 17th-21st & 24th-28th. THE SECRET DIARY OF LYDIA BENNETT Tour, (Natasha Farrant), The Chicken House, October 17th-21st & 24th-28th. ROSEBLOOD Tour, (A.G. Howard), Amulet Books, October 24th-28th. ROSE & THORN Tour, (Sarah Prineas), Harper Teen, October 10th-14th & 17th-21st. USELESS BAY Tour, (M.J. Beaufrand), Amulet Books, October 10th-14th & 17th-21st. FROST Tour, (M.P. Kozlowsky), Scholastic Press, October 3rd-7th & 10th-14th. SPEED OF LIFE Tour, (J.M. Kelly), HMH Books for Young Readers, October 3rd-7th & 10th-14th. THE BLACK KEY Tour, (Amy Ewing), Harper Teen, September 26-30th & October 3rd-7th. 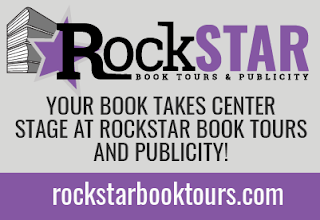 LOST STARS Tour, (Lisa Selin Davis), HMH Books for Young Readers, September 26-30th & October 3rd-7th. THE WOMEN IN THE WALLS Tour, (Amy Lukavics), Harlequin Teen, September 19th-23rd & September 26-30th. A SHADOW BRIGHT AND BURNING Tour, (Jessica Cluess), Random House BFYR, September 12th-16th & 19th-23rd. FROST LIKE NIGHT Tour, (Sara Raasch), Balzer + Bray, September 12th-16th & 19th-23rd. THE FORGETTING Tour, (Sharon Cameron), Scholastic Press, September 5th-9th & 12th-16th . THE GRACES Tour, (Laure Eve), Amulet Books, August 22nd-26th & September 5th-9th. LABYRINTH LOST Tour, (Zoraida Cordova), Sourcebooks, August 29th-September 2nd & September 5th-9th. AND THE TREES CREPT IN Tour, (Dawn Kurtagich), Little, Brown Books for Young Readers. August 29th-September 2nd & September 5th-9th. SOMETIMES WE TELL THE TRUTH Tour, (Kim Zarins), Simon Pulse, August 29th-September 2nd & September 5th-9th. NEVERNIGHT Tour, (Jay Krisoff), Thomas Dunne Books, August 1st-5th & August 8th-12th. POISONED BLADE Tour, (Kate Elliott), Little, Brown Books for Young Readers, August 8th-12th & 15th-19th. THE SHADOW HOUR Tour, (Melissa Grey), July 18th-22nd & 25th-29th, Delacorte Press. WAX Tour, (Gina Damico), HMH Books for Young Readers, July 25th-29th & August 1st-5th. THE BAD DECISIONS PLAYLIST Tour, (Michael Rubens), Clarion Books, July 25th-29th & August 1st-5th. THE ARCHITECT OF SONG Tour, (A.G. Howard), A.G. Howard, July 25th-29th & August 1st-5th. TWO SUMMERS Tour, (Aimee Friedman), June 27th-July 1st & July 4th-8th, Point. BLACK RIVER FALLS Tour, (Jeff Hirsch), Clarion Books, June 27th-July 1st & July 4th-8th. MIRAGE Tour, (Tracy Clark), HMH Books for Young Readers, June 27th-July 1st & July 4th-8th. EMPIRE OF DUST Tour, (Eleanor Herman), June 20th-24th & June 27th-July 1st, Harlequin Teen. HOW TO DISAPPEAR Tour, (Ann Redisch Stampler). Simon Pulse, June 14th-27th. THE KING SLAYER Tour, (Virginia Boecker), Little Brown Books for Young Readers, June 13th-17th. WITH MALICE Tour, (Eileen Cook), HMH Books for Young Readers, May 30th-June 3rd & June 6th-10th. THE SLEEPING PRINCE (The Sin Eater's Daughter #2) Tour, (Melinda Salisbury), Scholastic Press, May 23rd-27th & May 30th-June 3rd. EXILE FOR DREAMERS Tour, (Kathleen Baldwin), Tor Teen, May 23rd-27th & May 30th-June 3rd. THE CROWN'S GAME Tour, (Evelyn Skye), Balzer + Bray, May 9th-13th & 16th-20th 2016. SILENCE IS GOLDFISH Tour, (Annabel Pitcher), Little, Brown Books for Young Readers, May 9th-13th & 16th-20th 2016. EVERLAND Tour, (Wendy Spinale), Scholastic Press, May 2nd-6th & 9th-13th . THE SUMMER OF SUPERVOVAS Tour, (Darcy Woods), Crown BFYR, May 2nd-6th & 9th-13th & 16th. THE STAR TOUCHED QUEEN Tour, (Roshani Chokshi), St. Martin's Griffin, April 25th-29th & May 2nd-6th. THE MAY QUEEN MURDERS Tour, (Sarah Jude), HMH Books for Young Readers, April 25th-29th & May 2nd-6th. THE ROSE & THE DAGGER Release Day Blitz, (Renee Ahdieh), G.P. Putnam's Sons Books for Young Readers, April 26th. THE GLITTERING COURT Release Day Blitz (Richelle Mead) Razorbill, April 5th. MAGNETIC SHIFT Tour (Lucy D. Briand), Spencer Hill Press, April 4th-8th and 11th-15th. FUTURE SHOCK Tour (Elizabeth Briggs), Albert Whitman, March 21st-24th & March 28th-April 1st. DIG TOO DEEP Tour (Amy Allgeyer), Albert Whitman Teen, March 21st-24th & March 28th-April 1st. DARK ENERGY Tour (Robison Wells), HarperTeen, March 21st-24th & March 28th-April 1st. THE SKYLIGHTER Tour (Becky Wallace), Margaret K. McElderry Books, March 14th-18th & 21st-24th. THE STEEP AND THORNY WAY Tour (Cat Winters), Amulet Books, February 29th- March 4th & March 7th-11th. THE FORBIDDEN ORCHID Tour (Sharon Biggs Waller), Viking, February 29th- March 4th & March 7th-11th. BURNING GLASS Tour, (Kathryn Purdie), HarperCollins, February 22nd-26th & February 29th- March 4th. BEYOND THE RED Tour, (Ava Jae), Sky Pony Press. February 22nd-26th & February 29th- March 4th. INTO THE DIM Tour (Janet B. Taylor), HMH Books for Young Readers, February 22nd-26th & February 29th- March 4th. SEVEN BLACK DIAMONDS Scavenger Hunt Tour, (Melissa Marr), HarperCollins, February 22nd-26th & February 29th- March 4th. TITANS Tour (Victoria Scott), Scholastic Press, February 15th-19th & February 22nd-26th. BLUESCREEN Tour, (Dan Wells), Balzer + Bray, February 8th-12th and 15th-19th. THE GIRL FROM EVERYWHERE Tour (Heidi Heilig), Greenwillow Books, February 8th-12th and 15th-19th. THE SHADOW QUEEN Tour (C.J. Redwine), Balzer + Bray, February 8th-12th and 15th-19th. REIGN OF SHADOWS Tour, (Sophie Jordan), Harper Teen, February 1st-5th & 8th-12th. BLACKHEARTS Tour (Nicole Castroman), Simon Pulse, February 1st-5th & 8th-12th. BURNING MIDNIGHT Tour, (Will McIntosh), Delacorte Press, January 18th-22nd, 25th-29th, & February 1st-5th. UNHOOKEDTour, (Lisa Maxwell), Simon Pulse, January 25th - 29th & Feburary 1st - 5th. ASSASSIN'S HEART Tour, (Sarah Ahiers), HarperTeen, January 25th - 29th & February 1st - 5th. REVENGE AND THE WILD Tour, (Michelle Modesto), Balzer + Bray, January 25th - 29th & February 1st - 5th. ARROWS Tour, (Melissa Gorzelanczyk), Delacorte Press, January 18th-22nd and 25th-29th. NIGHT STUDY Tour, (Maria V. Snyder), Harlequin MIRA. January 18th-22nd and 25th-29th 2016. THE MEMORY OF LIGHT Tour, (Francisco Stork), Arthur A. Levine Books (Scholastic), January 18th-22nd and 25th-29th 2016. IT'S ALL YOUR FAULT Tour, (Paul Rudnick), Scholastic Press, January 18th-22nd and 25th-29th 2016. SWORD AND VERSE Tour, (Kathy MacMillan), Harper Teen, January 11th-15th & 18th-22nd 2016. BURN Tour (Elissa Sussman), Greenwillow Books, January 11th-15th & 18th-22nd 2016. THIS RAGING LIGHT Tour, (Estelle Laure), HMH Books for Young Readers, January 4th- 8th & 11th-15th. ENDURE Tour, (Sara B. Larson), Scholastic, December 28th- January 1st & January 4th- 8th . PASSENGER Tour, (Alexandra Bracken), Disney-Hyperion, December 28th- January 1st & January 4th- 8th . THICKER THAN WATER Tour (Kelly Fiore), Harper Teen, December 28th- January 1st & January 4th- 8th. GRUDGING Tour, (Michelle Hauck), Harper Voyager Impulse, November 9th-13th & 16th-20th. UNTAMED Tour, (A.G. Howard), Amulet Books, November 16th-20th. FORBIDDEN Tour, (Eve Bunting), Clarion Books, November 23rd-27th & November 30th- December 4th. TEN THOUSAND SKIES ABOVE YOU Tour, (Claudia Gray), Harper Teen, October 26th-30th & November 2nd-6th. UNTIL WE MEET AGAIN Tour, (Renee Collins), Sourcebooks Fire, October 26th-30th & November 2nd-6th. THE LAST FAERIE QUEEN Tour, (Chelsea Pitcher), Flux. November 2nd-6th & 9th-13th. POISON STUDY Read Along, (Maria V. Snyder), MiraInk, October 1st-31st. PERSUASION Tour, (Martina Boone), Simon Pulse, October 19th-23rd & 26th-30th . WOLF BY WOLF Release Week Blitz, (Ryan Graudin), Little Brown Books for Young Readers, October 20th-23rd. ICE LIKE FIRE Tour, (Sara Raasch), Balzer + Bray. October 5th-9th & 12th-16th. THE IMMORTAL HEIGHTS Tour, (Sherry Thomas), Balzer + Bray. October 5th-9th & 12th-16th. BLACK WIDOW: FOREVER RED Tour, (Margaret Stohl), Disney Hyperion. October 5th-9th & 12th-16th. POISON STUDY 10 Year Anniversary Tour, (Maria V. Snyder), MiraInk, September 28th- October 2nd & October 5th-9th. THE WHITE ROSE Tour, (Amy Ewing), Harper Teen. September 28th-October 2nd & October 5th-9th. AN INHERITANCE OF ASHES Tour, (Leah Bobet), HMH Books for Young Readers. September 28th-October 2nd & October 5th-9th. SPINNING STARLIGHT Tour, (R.C. Lewis), Disney Hyperion. September 28th-October 2nd & October 5th-9th. A THOUSAND NIGHTS Tour, (E.K. Johnston), Disney Hyperion. September 28th-October 2nd & October 5th-9th. A MADNESS SO DISCREET Tour, (Mindy McGinnis), Katherine Tegen Books. September 28th-October 2nd & October 5th-9th. WE'LL NEVER BE APART Tour, (Emiko Jean), HMH Books For Young Readers. September 28th-October 2nd & October 5th-9th. FACELESS Tour, (Alyssa Sheinmel), Scholastic Press. September 21st-25th & September 28th-October 2nd. LAST SONG BEFORE NIGHT Tour, (Ilana Myer), Tor Books. September 21st-25th & September 28th-October 2nd. SOUND Tour, (Alexandra Duncan), Greenwillow Books, September 14th-18th & 21st-25th . SILVER EVE Tour, (Sandra Waugh), Random House, September 14th-18th & 21st-25th . WALK ON EARTH A STRANGER Release Day Celebration co-hosted with Me My Shelf And I Blog Tours, (Rae Carson), Greenwillow Books, September 22nd. SWEET TEMPTATION Release Week Blitz, (Wendy Higgins), Harper Teen. September 8th-11th. Details TBA. AMONG THE SHADOWS: 13 STORIES OF DARKNESS AND LIGHT YA Anthology Tour (multiple authors), September 7th-11th & 14th-18th . Details TBA. ASH & BRAMBLE Tour, (Sarah Prineas), Harper Teen, September 7th-11th & 14th-18th . Details TBA. THE HOLLOW BOY (LOCKWOOD & CO. #3) Tour, (Jonathan Stroud), Disney Hyperion. September 14th-18th. Details TBA. A WHOLE NEW WORLD: TWISTED TALES #1 Tour, (Liz Braswell), Disney Hyperion. August 24th-28th & August 31st- September 4th. HUNTER Tour, (Mercedes Lackey), Disney Hyperion. August 24th-28th & August 31st- September 4th. VENGEANCE ROAD Tour, (Erin Bowman), HMH Books for Young Readers. August 24th-28th & August 31st- September 4th. MECHANICA Tour, (Betsy Cornwell), HMH Books for Young Readers. August 17th-21st & 24th-28th. DEAD UPON A TIME Tour, (Elizabeth Paulson), Scholastic, August 17th-21st & 24th-28th. THE DEAD GIRLS OF HYSTERIA HALL Tour, (Katie Allender), Scholastic, August 17th-21st & 24th-28th. QUEEN OF SHADOWS Release Day Blitz, (Sarah J. Maas), Bloomsbury USA, September 1st. HARRIET WOLF’S SEVENTH BOOK OF WONDERS Release Day Blitz, (Julianna Baggot), Little, Brown and Company, August 18th. WHILE YOU WERE GONE Tour, (Amy K. Nichols), Knopf Books for Young Readers. July 27th-31st & August 3rd-7th. JUBILEE MANOR Tour, (Bethany Hagen), Penguin Teen, August 3rd-7th & 10th-14th . SILVER IN THE BLOOD Tour, (Jessica Day George), Bloomsbury USA Childrens. June 29th-July 3rd & July 6th-10th. YOU ME AND HIM Tour, (Kris Dinnison), HMH Books for Young Readers, June 29th-July 3rd & July 6th-10th. SHADOWSHAPER Tour, (Daniel José Older), Scholastic, June 29th- July 3rd & July 6th-10th. 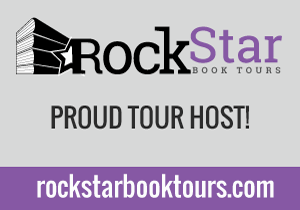 SUMMER QUEEN Review Tour, (Amber Argyle), Starling Publishing. June 15th-19th & 22nd-26th. Details TBA. TANGLED WEBS Tour, (Lee Bross), Disney Hyperion. June 15th-19th & 22nd-26th. Details TBA. I AM THE TRAITOR Tour, (Allen Zadoff), Little Brown Books For Young Readers, June 8th-12th. CHARLIE, PRESUMED DEAD Tour, (Anne Heltzel), HMH Books for Young Readers. May 25th-29th & June 1st-5th. THE WITCH HUNTER Tour, (Virginia Boecker), Little Brown Books For Young Readers, June 1st-5th. OF ICE AND SNOW by Amber Argyle and DARING HEARTS Box Set Cover Reveals, June 4th. THE CAGE Tour, (Megan Shepherd), Balzer + Bray, May 18th-22nd & 25th-29th. SCARLETT UNDERCOVER Tour, (Jennifer Latham), Little Brown Books For Young Readers, May 11th-15th & 18th-22nd. ILLUSIONARIUM Tour, (Heather Dixon), Greenwillow, May 11th-15th & 18th-22nd. A SCHOOL FOR UNUSUAL GIRLS Tour, (Kathleen Baldwin), Tor Teen, May 11th-15th & 18th-22nd. THE WRATH AND THE DAWN Release Day Blitz, (Renee Ahdieh), Putnam, May 12, 2015. THE FEVER Paperback Release Day Blitz, (Megan Abbott), Little, Brown and Company, May 12, 2015. TRACKED Tour, (Jenny Martin), Dial Penguin, April 27th-May 1st & May 4th- 8th. UNDERTOW Tour, (Michael Buckley), HMH Books for Young Readers. April 27th-May 1st & May 4th- 8th. SERIOUSLY WICKED Tour, (Tina Connolly), TOR Teen, April 27th-May 1st & May 4th- 8th. THE GAME OF LOVE AND DEATH Tour, (Martha Brockenbrough), Scholastic, April 20th-24th & April 27th-May 1st. THE GIRL AT MIDNIGHT Tour, (Melissa Grey), Delacorte Press, April 20th-24th & April 27th-May 1st. STRANGE SKIES Tour, (Kristi Helvig), EGMONT USA, April 20th-24th and April 27th- May 1st. AN EMBER IN THE ASHES (Sabaa Tahir) Release Day Blitz, April 28. THE REMEDY Tour, (Suzanne Young), Simon Pulse, April 13th-17th & 20th-24th. THE WONDROUS AND THE WICKED (THE DISPOSSESSED #3) Tour, (Page Morgan), Delacorte Press, April 6th-10th & 13th-17th. THE TAPPER TWINS GO TO WAR (WITH EACH OTHER), Geoff Rodkey, Little Brown Books For Young Readers. April 6th-10th. IN THE TIME OF THE DRAGON MOON Tour, (Janet Lee Carey), Kathy Dawson Books (Penguin), March 16th-20th and 23rd-27th. HARRISON SQUARED Tour, (Daryl Gregory), TOR Books, March 17th-31st. THE STORYSPINNER Tour (Becky Wallace), Margaret K. McElderry, February 23rd-27th & March 2nd-6th. DEATH MARKED (DEATH SWORN #2) Tour, (Leah Cypess), Harper Teen, February 23rd-27th & March 2nd-6th. MY BEST EVERYTHING Tour, (Sarah Tomp), Little Brown Books For Young Readers, February 23rd-27th & March 2nd-6th. WHEN MY HEART WAS WICKED Tour (Tricia Stirling), Scholastic, February 23rd-27th & March 2nd-6th. SHADOW STUDY Tour, (Maria V. Snyder), Harlequin MIRA, February 16th-20th & 23rd-27th. SALT & STONE Tour, (Victoria Scott), Scholastic, February 16th-20th & 23rd-27th. THE SIN EATER'S DAUGHTER Tour, (Melinda Salisbury), Scholastic, February 16th-20th & 23rd-27th. ALL THAT BURNS Tour, (Ryan Graudin), Harper Teen, February 2nd-6th & 9th-13th. SEEKER Tour, (Arwen Elys Dayton), Delacorte Books for Young Readers, February 9th-13th. PLAYLIST FOR THE DEAD Tour, (Michelle Falkoff), HarperTeen, January 26th-30th & February 2nd-6th. Sign-ups OPEN. INVADED Release Week Blitz, (Melissa Landers), Disney-Hyperion. February 2nd-6th. Details TBA. TEAR YOU APART Tour, (Sarah Cross), Egmont USA, January 19-23rd & 26th-30th. A COLD LEGACY Release Day Blitz, (Megan Shepherd), Balzer + Bray, January 27 2015. LOVE, LUCY Release Day Blitz, (April Lindner), Poppy, January 27 2015. POLARIS Tour, (Mindee Arnett), Balzer + Bray, January 12th-16th & 19th-23rd. THE DARKEST PART OF THE FOREST Tour, (Holly Black), Little Brown Books For Young Readers, January 5th-9th & 12th-16th. HELLHOLE Tour, (Gina Damico), HMH Books for Young Readers, January 5th-9th and 12th-16th. Sign-ups CLOSED. MEET THE SEEKERS Tour, (Arwen Elys Dayton), Delacorte Books for Young Readers, January 19-23rd. Sign-ups CLOSED. IGNITE Tour, (Sara B. Larson), Scholastic, December 29th-January 2nd & January 5th-9th. THE ANGEL KILLER Release Day Blitz, (Lisa Voisin), InkSpell Publishing, January 5 2015. TRANSCENDENT Tour, (Lesley Livingston), Harper Teen, December 15th-19th & 22nd-26th. HARLEQUIN HOLIDAY READS Tour (multiple authors), Harlequin, December 1st-5th, 8th-12th, 15th-19th. NOW THAT YOU'RE HERE Tour, (Amy K. Nichols), Knopf Books for Young Readers, December 1st-5th & 8th-12th. ENSNARED Tour, (A.G. Howard), Abrams Kids, December 1st-5th. THE WALLED CITY Tour, (Ryan Graudin), Little Brown Books for Young Readers, October 27th-31st and November 3rd-7th. A THOUSAND PIECES OF YOU Tour (Claudia Gray), Harper Teen, October 27th-31st and November 3rd-7th. MORTAL HEART Tour, (Robin LaFevers), HMH For Young Readers, October 27th-31st and November 3rd-7th. THE OPAL CROWN Tour, (Jenny Lundquist), Running Press Kids, October 20th-24th & 27th-31st. COMPULSION Tour, (Martina Boone), Simon Pulse, October 20th-24th & 27th-31st. FAMOUS IN LOVE Tour, (Rebecca Serle), Little Brown Books for Young Readers, October 13th-17th & 20th-24th. SNOW LIKE ASHES Tour, (Sara Raasch), Balzer + Bray, October 6th-10th & 13th-17th. THE CURE FOR DREAMING Tour, (Cat Winters), Amulet Books, October 6th-10th & 13th-17th. THE FALL Tour, (Bethany Griffin), Greenwillow Books, September 29th-October 3rd & October 6th-10th. WINTERSPELL Tour, (Claire Legrand), Simon & Schuster Books for Young Readers, September 22nd-26th & September 29th-October 3rd. THE PERILOUS SEA Tour, (Sherry Thomas), Balzer + Bray, September 8th-12th & 15th-19th. MADE FOR YOU Tour, (Melissa Marr), HarperCollins, September 8th-12th & September 15th-19th. IN A HANDFUL OF DUST Tour, (Mindy McGinnis), Katherine Tegen Books, September 15th-19th & 22nd-26th. LARK RISING Tour, (Sandra Waugh), Random House, September 15th-19th & 22nd-26th. SALT & STORM Tour, (Kendall Kulper), Little Brown Books for Young Readers, September 15th-19th & 22nd-26th. FOREST OF WHISPERS Tour, (Jennifer Murgia), Spencer Hill Press, September 1st-5th & 8th-12th. VISION Tour, (Lisa Amowitz), Spencer Hill Press, September 1st-5th & 8th-12th. CAN'T LOOK AWAY Tour, (Donna Cooner) Point, August 18th- 22nd and 25th- 29th. FLAWED Tour, (J.L. Spelbring), Spencer Hill Press, August 4th-8th & 11th-15th. THIS SUMMER Tour, (Katlyn Duncan), Carina, July 14th-18th & July 21st-25th. MIRROR X Tour, (Karri Thompson), Entangled Teen. July 7th-11th & 14th-18th. THE UNKNOWN ASSASSIN Tour, (Allen Zadoff), Little Brown Books for Young Readers, June 16th-20th & 23rd-27th. DEFECTOR Tour, (Susanne Winnacker), Razorbill, June 16th-20th & 23rd-27th. REBEL NATION Tour, (Shaunta Grimes), Berkeley Trade, June 23rd- 27th & June 30th- July 4th. GRADUATION DAY Tour, (Joelle Charbonneau), HMH For Young Readers, June 9-13th & 16th-20th. COPPER RAVENS Tour, (Jennifer Allis Provost), Spencer Hill Press, June 9th-13th & 16-20th. BRAZEN Tour, (Katherine Longshore), Viking Books, June 2nd-6th & 9th-13th. CINDERELLA'S DRESS Tour (Shonna Slayton), Entangled Teen, June 2nd-6th & 9th-13th. THE LOVELY AND THE LOST Tour, (Page Morgan), Delacorte Press, May 5th-9th & 12th-16th. THE WARRIOR Tour, (Victoria Scott), Entangled Teen, April 28th-May 2nd & May 5th-9th. CHANTRESS ALCHEMY Tour, (Amy Butler Greenfield), Simon Teen, May 5th-9th & 12th-16th. MY NOT SO SUPER SWEET LIFE Tour, (Rachel Harris), Entangled Teen, April 21st-25th & April 28th-May 2nd. BURN OUT Tour, (Kristi Helvig), Egmont USA, March 31st-April 4th & April 7th-11th. SALVAGE Tour, (Alexandra Duncan), Greenwillow Books, March 24th-28th & March 31st-April 4th. IF ONLY Tour, (AJ Pine), Entangled Embrace, March 24th-28th & March 31st-April 4th. SUMMER ON THE SHORT BUS Tour, (Bethany Crandell), Running Press Kids, March 24th-28th & March 31st-April 4th. A DEATH STRUCK YEAR Tour, (Makiia Lucier), HMH Books for Young Readers. March 3rd-7th & 10th-14th. ELUSION Tour, (Claudia Gabel and Cheryl Klam), Katherine Tegen Books, March 10th-14th & 17th-21st. DONNA OF THE DEAD Tour, (Alison Kemper), Entangled Teen, March 10th-14th & 17th-21st. DARKSIDE SUN Tour, (Jocelyn Adams), Entangled Embrace, March 17th-21st & 24th-28th. STEADFAST Tour, (Claudia Gray), Harper Teen. February 24th-28th & March 3rd-7th. DEATH SWORN Tour, (Leah Cypess), Greenwillow Books. February 24th-28th & March 3rd-7th. RUINS Tour, (Dan Wells), Balzer + Bray. March 3rd-7th & 10th-14th. SING SWEET NIGHTINGALE Tour, (Erica Cameron), Spencer Hill Press, March 3rd-7th & 10th-14th 2014. FIRE & FLOOD Tour, (Victoria Scott), Scholastic, February 17th-21st & 24th-28th 2014. ALL THAT GLOWS Tour, (Ryan Graudin), Harper Teen, February 3rd-7th and 10th-14th 2014. MANOR OF SECRETS Tour, (Katherine Longshore), Scholastic, January 27th-31st & February 3rd-7th. INTO THE STILL BLUE Tour, (Veronica Rossi), Harper Teen, February 2-9 2014. HER DARK CURIOSITY Tour, (Megan Shepherd), Balzer + Bray, January 20th- 24th and 27th-31st. A LITTLE TOO HOT Tour, (Lisa Desrochers), William Morrow Impulse, Jan 20-24th and 27th-31st. CRUEL BEAUTY Tour, (Rosamund Hodge), Balzer + Bray, January 27th-31st. UNINVITED Tour, (Sophie Jordan), Harper Teen, January 27th-31st & February 3rd-7th. THE IMMORTAL CIRCUS: FINAL ACT Tour, (A.R. Kahler), 47North, January 13th-17th. RUINED Tour, (Jus Accardo), Entangled Embrace, January 6th-10th and January 13th-17th. WHERE YOU'LL FIND ME Tour, (Erin Fletcher), Entangled Teen, January 6th-10th and January 13th-17th. TASTE OF DARKNESS Tour, (Maria V Snyder), Harlequin MIRA, December 30- January 3 & January 6-10, 2014. INDEPENDENT STUDY Tour, (Joelle Charbonneau), HMH Kids, December 30- January 3 & January 6-10, 2014. DEFY Tour, (Sara B. Larson), Scholastic, December 30- January 3 & January 6-10, 2014. SALT Tour, (Danielle Ellison), Entangled Teen, December 30-January 3 & January 6-10, 2014. FIREBLOOD Tour, (Trisha Wolfe), Spencer Hill Press, November 18-29. INK IS THICKER THAN WATER Tour, Entangled Teen, November 25-29 & December 2-6. RESIST Tour, (Sarah Crossan), Greenwillow Books, November 11-15. IN THE BLOOD Tour, (Sara Hantz), Entangled Teen, November 4-8 & 11-15. UNHINGED Tour (A.G. Howard), Amulet, October 21-26 & October 28-November 2nd. INFINITY Tour, (Andria Buchanan), Entangled Teen, October 28-November 1 & November 4-8. REVELATIONS Tour, (J.A. Souders), Tor Teen, October 28-November 1 & November 4-8. OLIVIA TWISTED Tour, (Vivi Barnes), Entangled Teen, October 28-November 1 & November 4-8. SINS OF THE LOST Tour (Linda Poitevin), Penguin, September 16th-November 8th. BECAUSE THE NIGHT Tour (Kristen Strassel), Foreword Literary, October 21-25 & October 28-November 1. SOUL POSSESSED Tour (Katlyn Duncan), Carina UK, October 21-25, October 28-November 1, November 4-8. FIRE IN THE DARKNESS Tour (Stacey Marie Brown), October 14-18 & October 21-25. ALLURE Tour (Lea Nolan), Entangled Teen, September 30-October 4 & October 7-11. MADE OF STARS Tour, (Kelley York), Entangled Teen, September 30-October 4 & October 7-11. THROUGH GLASS Tour (Rebecca Ethington), September 30-October 4 & October 7-11. EVANESCENT Tour (Andria Buchanan), Entangled Teen, September 30-October 4 & October 7-1. SIDELINED Tour, (Kendra Highley), Entangled Teen, September 23-27 & September 30-October 4. WARD AGAINST DARKNESS Tour (Melanie Card), Entangled Publishing, September 23-27 & September 30-October 4. NOT A DROP TO DRINK Tour (Mindy McGinnis), Katherine Tegen Books, September 16th-20th & September 23rd-27th. A LITTLE TOO FAR Tour (Lisa Desrochers), HarperCollins, September 3rd-17th. RELATIVITY Tour (Cristin Bishara), Walker Children's, September 9th-13th & September 16th-20th. THE BURNING SKY (Sherry Thomas), Balzer + Bray, September 9th-13th & September 16th-20th. GOLD Tour (Talia Vance), Flux, September 9th-13th & September 16th-20th. LETTERS TO NOWHERE Tour (Julie Cross), September 3rd-6th & September 9th-13th. THORNHILL Tour (Kathleen Peacock),Katherine Tegen Books, September 2nd-6th & September 9th-13th. RELIC Tour (Renee Collins), Entangled Teen, August 19th- 23rd & August 26th- 30th. THE BITTER KINGDOM Tour (Rae Carson), Greenwillow Books, August 19th-23rd & August 26th-30th. DESCENDANT Tour (Lesley Livingston), Harper Teen, August 19th-23rd & August 26th-30th. EVERLAST Tour (Andria Buchanan), Entangled Teen, August 19th-23rd & August 26th-30th. A DARKNESS STRANGE AND LOVELY Tour (Susan Dennard), Harper Teen, July 15-19 and July 22-26. OF BEAST AND BEAUTY Tour (Stacey Jay), Delacorte Books for Young Readers, July 15-19 and July 22-26. TOUCHING THE SURFACE Tour (Kimberly Sabatini), Simon Pulse, July 8-12 and July 15-19. SHADOW OF THE MARK Tour (Leigh Fallon), Harper Teen, July 1-5 and July 8-12. VIRAL NATION Tour (Shaunta Grimes), Berkley Trade, June 15- June 30, 2013. ASHES ON THE WAVES Tour (Mary Lindsey), Philomel, June 17-21 and June 24-28. CATHERINE Tour (April Lindner), Poppy, June 17-21 and June 24-28. PARADOX Tour (A.J. Paquette), Random House BYR, June 17-21 and June 24-28. TARNISH Tour (Katherine Longshore), Viking Books, June 10-14 & June 17-21. BORN OF ILLUSION Tour (Teri Brown), Balzer + Bray, June 3-7 and 10-14. DANCE OF THE RED DEATH tour (Bethany Griffin), Greenwillow books, June 3-7 and June 10-14. SPIES AND PREJUDICE Tour (Talia Vance), Egmont USA, June 4-17. THE CRYPTID TALES Tour (Brina Courtney), on tour May 1-31. THE SUMMER I BECAME A NERD Tour (Leah Miller), Entangled Publishing, May 6- May 17 2013. DARKNESS OF LIGHT Tour (Stacey Marie Brown), Twisted Fairy Publishing, May 6-10 & May 13-17. TERRA Tour (Gretchen Powell), Hopewell Media, May 6-10 & May 13-17. SWEET PERIL Tour (Wendy Higgins), HarperTeen, April 22-26 & April 29-May 3, 2013. UNBREAKABLE Tour (Elizabeth Norris), Balzer + Bray, April 2013, on tour April 15-April 26. MOONSET Tour (Scott Tracey), Flux, April 2013, on tour March 25-April 14. DARK TRIUMPH Tour (RL LaFevers) Houghton Mifflin, April 3rd-9th. DEAR CASSIE Tour (Lisa Burstein), Entangled Publishing, March 19-April 2. NATURALS Tour (Tiffany Truitt), Entangled Publishing, April 2013, on tour March 25-April 5. PROPHECY GIRL Tour (Cecily White), Entangled Publishing, April 2013, on tour March 25-April 5. THE IMMORTAL CIRCUS Tour (A.R. Kahler), 47 North, February 2013, on tour February 11-15 & 18-22. THE WATCHER Trailer Reveal (Lisa Voisin), InkSpell, February 4, 2013. THE IMMORTAL CIRCUS Serial Blog Tour (A.R. Kahler), 47 North, on tour December 10-February 14. OVERRIDE Tour (Heather Anastasiu), St. Martin's Griffin, February 2013, on tour February 4-8 & 11-15. EVERBOUND Tour (Brodi Ashton), Balzer + Bray, on tour January 14-18 & 21-25. DECKED WITH HOLLY Tour (Marni Bates), Kensington, on tour December 31-January 4 & January 7-11. SUMMERSET ABBEY Tour (T.J. Brown), Gallery Books, on tour January 7-11 & 21-25. SCENT OF MAGIC Tour (Maria V. Snyder), MIRA Books, on tour December 10-14 & 17-21. EEEEKK!! This is going to be so awesome! Totally stalking to sign up for the Sweet Peril and Ashes on the Waves tours!! Aah, congrats on the tours! I seriously cannot wait! :))) You guys rock! This is amazing!! thumbs up for your awesome dedication and work on this!! Can't wait! You guys are awesome. I so can't wait to sign up for SCENT OF MAGIC and SHADOW OF THE MARK tours! The first books were cliffhangers! Wow! This are amazing upcoming tours! Hi! I was totally excited to find out about your blog tours. Thank you so much! I write YA contemporary. I have had new releases in the past month, but I will also have two new releases before Christmas. I would be delighted to be hosted whenever you have an opening. 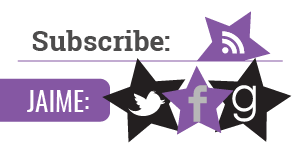 My email is: contact@brendamaxfield.com I'd love to have you visit my website at: www.brendamaxfield.com Let me know what else you need. I'll be glad to send it! Hello! My name is Juliann Rich and I'm the author of Caught in the Crossfire, Book 1 in a trilogy that is being published by Bold Strokes Books in June, 2014. It is a coming of age and a coming out story set against the backdrop of the evangelical Christian church. I'd love to have you visit my website at www.juliannrich.com to see if my book is one you would be interested in hosting on your blog tour. You may email me at juliannrichbooks@gmail.com. Thank you very much and please let me know if you need anything further. Really hope I can be a tour host for The Sleeping Prince. Thankfully, I got an early ARC and loved it!!!! It's great and I'm really enjoying the series. There's so many great tours coming up.